Visiting the Lake District on a self-catering cottage break is the best way to experience all that this stunning area of the UK has to offer. Relaxing in your own rented lodge, going at your own pace and being surrounded by some of the most incredible scenery imaginable, there is nothing better than waking up to the sounds of the birds twittering outside your window as the sun creeps in through the curtains, reminding you of the beautiful setting that you are in. To make your cottage stay even more perfect, consider a secluded cottage in the Lake District, where your lodge is wooden and rustic, blending into the backdrop, and where thickets of trees hide your whereabouts from the rest of the world. These secluded cottages can easily be rented in areas of the Lake District, and although you may enjoy being cut-off from civilisation, these lodges are close to plenty of towns and villages of the area, so you can blend seclusion with visiting areas of history and culture. Secluded cottages in the Lake District may be perched high on a mountain side away from the crowds, or they may be located in an isolated part of Lake Windermere, but all are kitted out with all the facilities and amenities that you will need when on a break to this beautiful part of Cumbria. With hot tubs, state of the art television sets and DVD players, Wi-Fi, fully equipped kitchens and private gardens, these dwellings are stylish, cosy and homely, with warm log fires, comfy sofas and soft beds - perfect for a relaxing break in the Lakes. The Lake District is an area of complete natural beauty, home to both the deepest lake in England – Wastwater, and the longest – Windermere. It also features forests, mountains, villages and plenty of attractions to see, so you will never be at a loss for what to do. 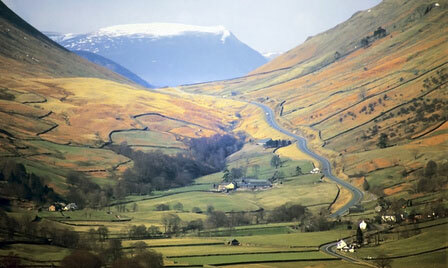 Poetry lovers will adore the Lake District which was home to 19th century poet William Wordsworth. A trip to see Wordsworth’s old house, Dove Cottage in Grasmere, is fantastic and inspirational, and there is also the Wordsworth Museum next door which features handwritten letters by the Romantic poet. Other settlements worth visiting in the Lake District include the town of Ambleside which is located within the mountains and features lots of cosy pubs to settle into, and Keswick, a market town of approximately 5,000 people. Keswick is a lovely little town which features the Theatre by the Lake, a modern theatre which is home to several productions and festivals throughout the year. Renting a secluded cottage in the Lake District is a decision that will stay with you for the rest of your life. There is no other scenery in the United Kingdom as awe-inspiring and incredible as the mountains, forests and lakes of this part of Cumbria, and getting away from it all and kicking back in a private and sheltered cottage is the perfect way to appreciate this part of the world.